Home News Delta works execution. Eluru, Jan 9 (way2newstv.in):Delta modernization ... the last ten years that the farmers are doing away with the eye on the eye. It was broken up into various packages, stretching, and eventually separating the tasks that were between only a few individuals, making them smaller and fulfilling some of them. Prior to this stretching the monopolists did not have any reactions or other recoveries. Causing Rs. The decade of 1300 crore works have not been filed since the taxpayers are changing. The hopes of doing things will be done soon after the completion of this rabi. The Godavari Delta has been named for three years for the modernization of the work. About five years passed, because they did not give the time for what they were saying. They were given a long time in 2012. The farmers sacrificed a crop under the river Narasapuram. At this time, the work would be quicker, but the monopolists have been very happy as ever. The result here is just Rs. No more than 200 crores. The story is back. 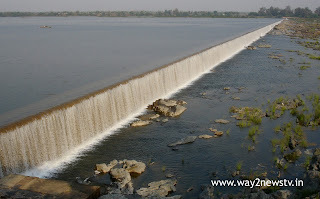 Modernization of the Eluru Canal from Eladuwa to Eluru is Rs. Progressive featuring 130 crores. At least three percent of the three years have not been completed since they have to start working for a three-year contract. In the next phase, they have extended several contracts. At least 10 percent of the work was completed until they continued to work till about 2014. Even though they did not work on the contract in seven years, the authorities did not react to their activities unless they returned. They could not question why they were not able to work at the time of the given period, unless the contractor told them that they did not expire on the contract. Another big company is IVRCL. They have taken the renovation work of Narasapuram and Yanamadur Drain. Approximately Rs. They have also been given a long time to do 230 crores. In the meantime, only 50 percent of the work was completed. In the district the delta of the important yamamadiru drain works where the caterpilli was made there. They have been abandoned without action. There have been criticisms that the failure to complete the long-run work could not be completed by the instantaneous and subsequent ruling. Even if the situation in the other fourteenth companies is similar, no one can do it. There are more criticisms about the fact that they do not do some of the costs but they have to pay the price.